This simple and meaningful Ketubah designed on the "parchment" background. On top of the ketubah are the names of the Bride and Groom with the Dove of Peace facing each other on both sides of the Star of David. 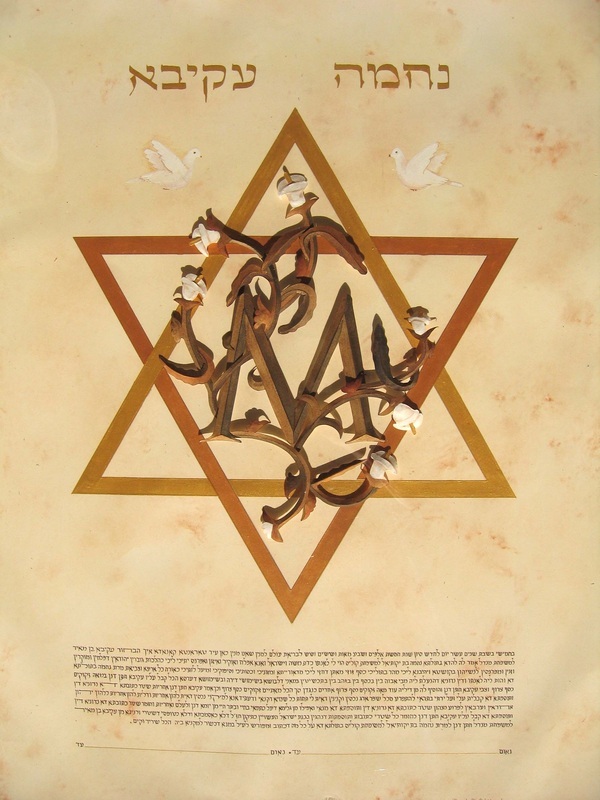 The Star of David is painted with combination of gold and copper. In the middle with the Paper-Sculpture technique is the initial "M" intertwine with with the Calla Lilies. At the lower part of the Ketubah is the Hebrew Orthodox text, written in matching brown.